Michael Innes is the pen name of J. I. M. Stewart. 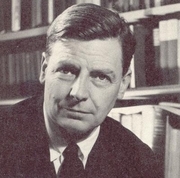 J. I. M. Stewart wrote academic works on English Literature and novels under his own name, using the Michael Innes nom-de-plume for detective novels and broadcast scripts. Using the pseudonym of Michael Innes, the Scottish academic and literary critic J.I.M. Stewart published nearly 50 crime novels and short story collections known for their wit, exuberance, and "tongue-in-cheek propensity" for intriguing turns of phrase. Michael Innes is currently considered a "single author." If one or more works are by a distinct, homonymous authors, go ahead and split the author. Michael Innes is composed of 10 names. You can examine and separate out names.